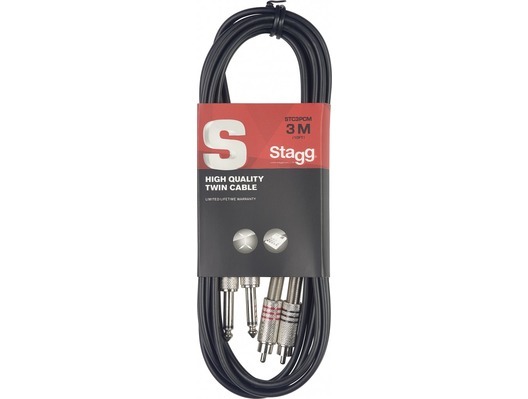 The Stagg STC3PCM 2x Mono Jack to 2x RCA Phono Twin Lead is suitable for studio sessions or live gigs. The high quality adaptors give quality audio signal transfer under any circumstance. Stagg leads are solid, durable and reliable. Quality wire and connection from a quality brand name.